Yoga is a practice that emerged in ancient India, which helps in maintaining a healthy body and mind. Whenever Yoga is mentioned Yoga Mat comes to mind. A Yoga Mat is a representation of the space where peace and calmness of mind are offered. Over the years it has gone through many changes to reach its present variant and vibrant self. Even now, it is going through changes. 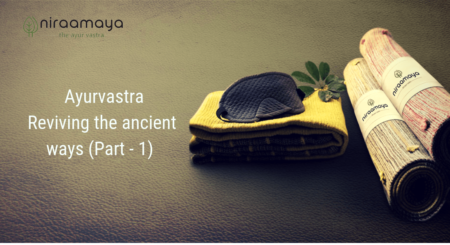 One can say that the first form of Yoga mats was the bed of Kusha grass or the rug made of deer or tiger skin. 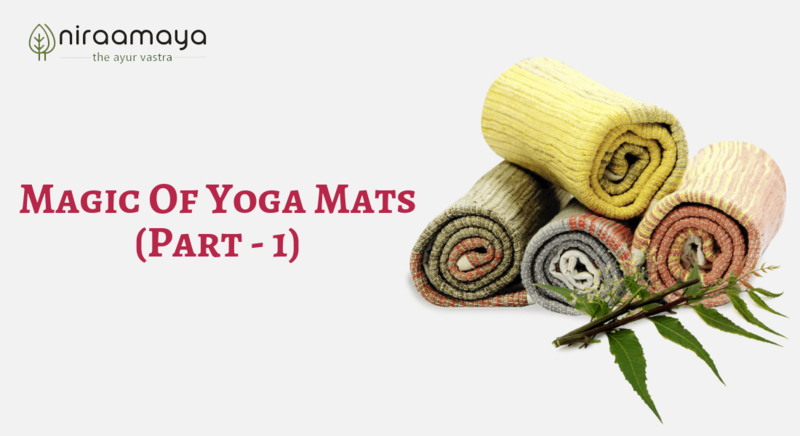 The western practitioners of yoga began to use cotton mats on the wooden floor. But those were slippery on the wooden floor. This led to the use of rubber mats. But those had issues too. Hands and feet slipped which can cause serious injuries, especially while doing asanas. It was in 1982, Angela Farmer discovered that carpet underlay was an efficient yoga mat. Her father, Richard Farmer became the first retailer of “sticky mats”. Today there are a variety of yoga mats. Most of the standard yoga mats are made of Vinyl, otherwise known as PVC. The awareness and resulting concern for the wellness of the environment have to lead to the development of more eco-friendly yoga mats. A regular yoga mat is about 72 inches (182 cm) long and 24 inches (60 cm) wide. But there are yoga mats having more width available which are better for doing Surya Namaskar and hand postures. Similarly, the mats differ in thickness. Ranging from 2 mm to 7 mm, the yoga mats are classified into three – lightweight (2mm), classic (4 – 5mm) and Soft mats (7mm). Nowadays the yoga mats come with designs and patterns. There are mats without any design available in different colours. Even mats with patterns are available in vibrant colours. Alignment mats are yoga mats that have various markings which act a guide for proper alignment. A yoga mat is not just a piece of fabric, it is a platform for taking our chaotic mind to calmness and peace. It is a personal preference. Like everything else, our yoga mats do tell tales about us. Still wondering why we need yoga mats? Check out the next blog. Posted in Uncategorized and tagged ayurvedic yoga mats, herbal organic mats, niraamaya, organic yoga mats, yoga mat, yoga mats.